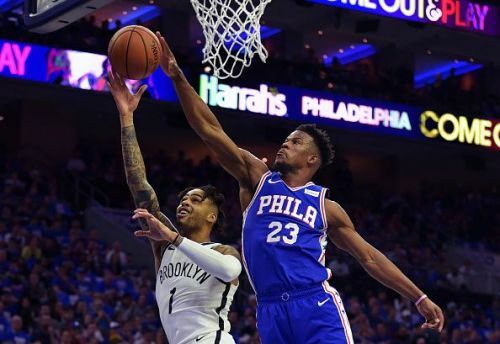 The Philadelphia 76ers will host the Brooklyn Nets tonight at the Wells Fargo Center in Philadelphia, Pennsylvania. 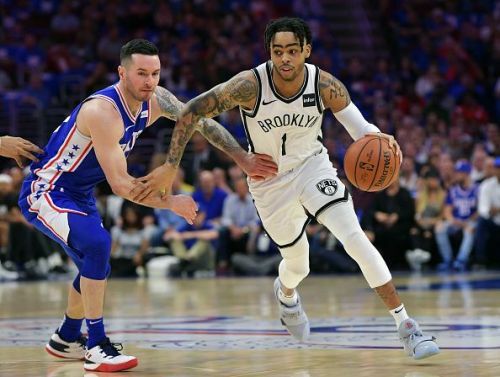 The Nets stunned the 76ers in the first game, and it will be exciting to see if they will be able to do that again in Game 2. The gritty Nets upset the 76ers on the road to take the lead in the series. They will be looking to repeat the result tonight at the same venue. Let's talk some stats. The Nets are currently shooting 43.2% from the field and 42.3% from beyond the three-point line. D'Angelo Russell has been exceptional for the Nets and scored 26 points and dished four assists in the first game. With him, five other players were in double figures - Spencer Dinwiddie, Caris LeVert, Ed Davis, Joe Harris, and DeMarre Carroll. The Nets have great depth in the lineup, and they can give a hard time to any team in the league. Predicted Starting Lineup: DeMarre Carroll, Rodion Kurucs, Jarrett Allen, Joe Harris, and D'Angelo Russell. It was hard for the 76ers fans to see their team lose to Nets at home and they started booing their team. But the players and fans will be looking to keep everything behind and start anew tonight. As a team, the 76ers are shooting 40.7% from the field and 12% from beyond the three-point line. Jimmy Butler was the only sparkling light for the 76ers in the first game as he finished with 36 points on the night. Only one other starter, Joel Embiid, was in double figures for the 76ers, finishing with 22 points on the night. The 76ers are desperate to bounce back tonight and bring some joy to their fans. Predicted Starting Lineup: Tobias Harris, Jimmy Butler, Joel Embiid, Ben Simmons and JJ Reddick. 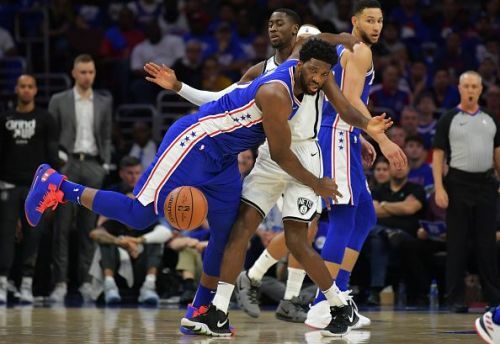 Joel Embiid is struggling with his knee and is a doubt for tonight which further worsens the situation for the 76ers. Other than Butler, no player was playing with an urgency to win. It was a bad night which 76ers should leave in the past. The Nets, on the other hand, have been a complete team and also have a better three-point shot than their opponent. They will be in for another kill tonight. Although 76ers lost the first game, they are still a high-quality team with a lot of talent. I expect them to even things tonight.